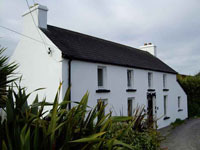 Ard na Gaoithe is a family run 3* Fáilte Ireland approved Island Bed and Breakfast accommodation. A warm welcome awaits you at this family run hostel. You have a choice for your holiday accomodation in this unnique setting. All exciting in their own right and very different. Apartment for short-term rent. 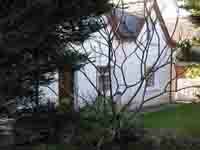 Five minutes walk from harbour. One bedroom two single beds, bathroom and kitchen. 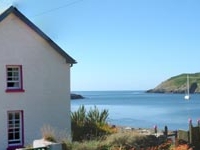 Tig Noíni is a comfortable fully equiped cottage which sleeps 4 and enjoys spectacular views overlooking Roaring Water Bay. 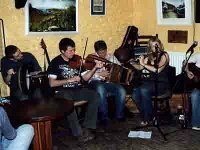 The Club is a popular destination for visiting musicians where impromptu music sessions can occur regularly during the summer months. 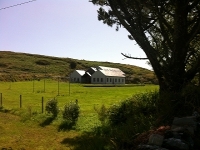 Séan Rua's Restaurant and An Siopa Beag is the Cape Clear Island's Grocery Shop, Restaurant and Pizzeria . 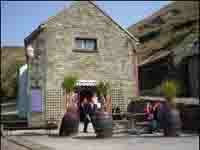 Traditional Irish pub serving food and drink. Check blackboard at gate for opening times. 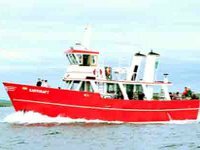 Sea Angling/Birdwatching/Whale-Dolphin Trips: MVS Gaisceanán, Live ragworm available. Birds can turn up anywhere on the island and they are frequently observed in the most unlikely of places. 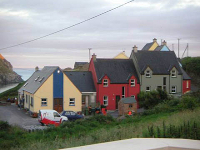 Featuring photographs, articles and information on decendants of Cape Clear Island and their connection to the sea. 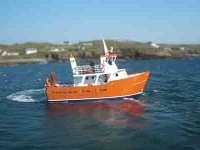 Official, year round ferry service from Baltimore to Cape Clear Island. 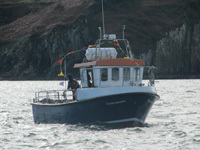 Summer Service to Cape Clear Island. Full Live Commentary, Music and ‘Sing Song’ by Qualified Tour Guide Value for Money. The Island Grocery Shop, Restaurant and Pizzeria. 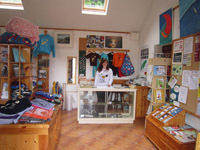 Gifts and Craft shop jewellery, original design postcards, t-shirts, hats, mugs, music CDs, books. Homemade ice cream and cheese, open daily. 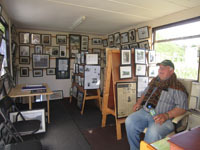 Our friendly staff will provide you with tourist information of all kinds.